A 60-year-old Roy man was shot dead Thursday afternoon in what police say was a road rage incident with a female motorcyclist on southbound Interstate 5 near the King-Pierce County line. Washington State Patrol says a 23-year-old woman on a blue 2008 Yamaha motorcycle and the man driving a 2016 GMC Terrain SUV got involved in a dispute around 5 p.m. Both stopped in the left lane and continued the altercation, leading to a physical fight where both went to the ground. State Patrol says the woman proceeded to pull out a gun, fired a single shot and striking the man. The motorcyclist called 911 and remained at the scene. Medics responded and tried to treat the man, but he died at the scene. The motorcyclist was taken to St. Francis Hospital in Federal Way for her injuries and is cooperating with police. The man's 57-year-old wife was a passenger in the SUV. She was not injured. 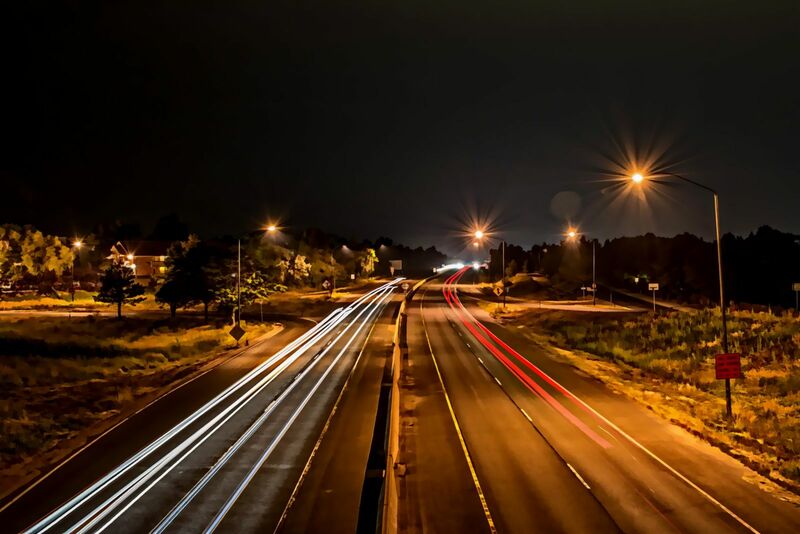 “There's a lot of road rage in this area, especially with all the construction and the traffic,” a Washington State Patrol spokesperson said. “It's pretty bizarre to have it end in such a horrible way as this." State Patrol says drugs or alcohol were not involved in the incident. There is no word yet if the motorcyclist will face any charges. While the above case is shocking and ended tragically, incidents like it are unfortunately becoming more common in the United States. According to a study by The Trace - a nonprofit news organization focused on gun violence – road rage incidents where someone brandished a gun or fired one at a driver or passenger are increasing in frequency. From Jan. 2014 through March 2017, there were at least 1,319 road rage episodes involving firearms, with at least 354 people wounded and 136 killed. The study, using data from the Gun Violence Archive, found that cases of road rage involving a firearm more than doubled to 620 in 2016, from 247 in 2014. 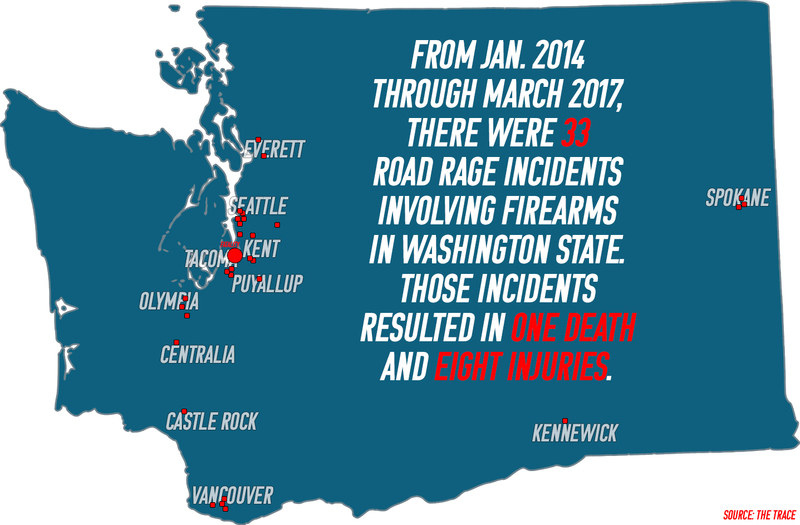 During the examined period, there were 33 road rage incidents involving firearms in Washington State. Those incidents resulted in one death and eight injuries. The fatality occurred in Sept. 2016 in Federal Way. Florida led the nation in road rage incidents with 147 reported from 2014 to 2016. In those shootings, 33 people were wounded and 15 were killed. Florida was followed by Texas, 126; California, 82; Tennessee, 68; and Pennsylvania, 62.